Mrs. Joseph Wood talks about Christian marriages. You’re never too young or too old to start improving your marriage relationship. This place is for young wives and older wives also. Together we will learn about intimacy in Christian marriage, improving our communication, and getting through difficult situations with grace. Has motherhood left you functioning in pj’s and ponytails more days than you’d like? Mrs. Joseph Wood shares tips for tired moms including encouragement for those days when even a pot of coffee can’t revive you. Learn how to get through the long nights and be the mom you desire to be. There may be seasons of life where we need to get through something, but motherhood should never be one of those seasons. Discover how you can go to bed at night accomplishing more than a to-do list. Together, we’ll find proven tips for busy moms that are both essential and practical. Finding others who understand the complexity of special needs parenting can be challenging. Jeanette offers resources to help adjust to your new routine. As a mom of 30 years and 11 children (several who had special needs), I want you to know that you’ve come to the right place. 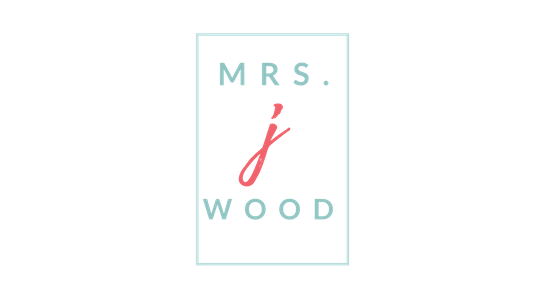 My name is Mrs. Joseph Wood. You can read more about my curious signature as you travel through the site. For now, feel free to call me Jeanette or “Mrs. Joe” as others do. This site was created for moms, just like you — moms committed to kindness. We’re moms who are brave enough to share our stories and proclaim God’s goodness. We are women who share friendship, laughter, and encouragement. Moms who don’t sugar coat the challenges or ignore the blessings. We’re tired moms who like to laugh, but never at the expense of others. We know that Life is too important to do alone. As a wife, mom of eleven, grandmother to five, and business owner, I know that life is full. I understand the pressures, the struggles, and surprises of motherhood. Whatever life looks like for you today; you can serve your family well and keep your sanity- Let me show you how! Join me on the blog. Once again welcome, I’m glad you’re here. Join a wonderful community of women who are committed to kindness, Women who embrace the lives God’s given them, and aren’t ashamed to tell the stories of His faithfulness along the way. Don't miss our special downloadable resources, practical tips, and the special events we have reserved for those who are in our community. Thanks for joining us- we're sure glad you're here. Congratulations! Welcome to the community. Join a wonderful community of moms who are committed to kindness. You'll receive special downloadable resources, tips for your home, blog posts, and invitations for special events we have reserved for those who are in our community. Congratulations. You've successfully joined an online community of moms who support and encourage one another with kindness. Check your email, you should have a letter from me with an invitation to a private group. If you need help, go to our FB page and send me a private message letting me know. I want to personally make sure you get connected in the community. I'm so glad you're here.